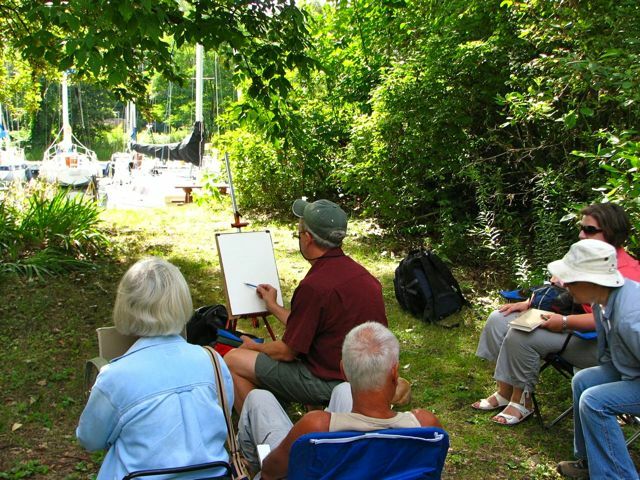 Take an ‘en plein air’ painting holiday in your own backyard! 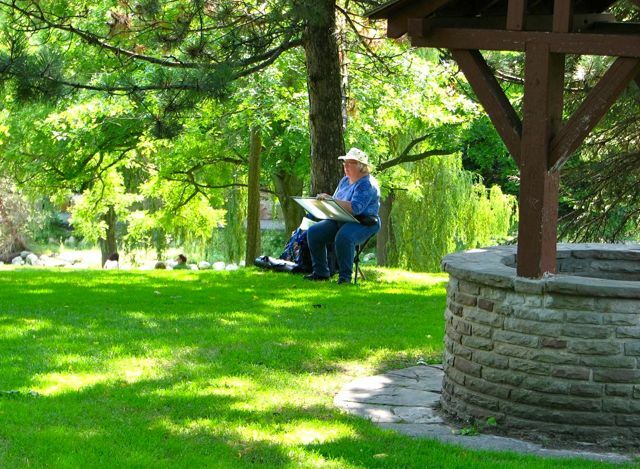 The beautiful parks, gardens and historic sites of Toronto, Ontario are the venue for this exciting week of sketching and painting. Five special sites will be visited. Each day we will meet at a different location and begin with a demonstration. The painting day will conclude with a constructive critique. Participants will be provided with directions and detailed information (washrooms, cafes) about each site. We will paint ‘rain or shine’ as several of our sites have overhead shelter. 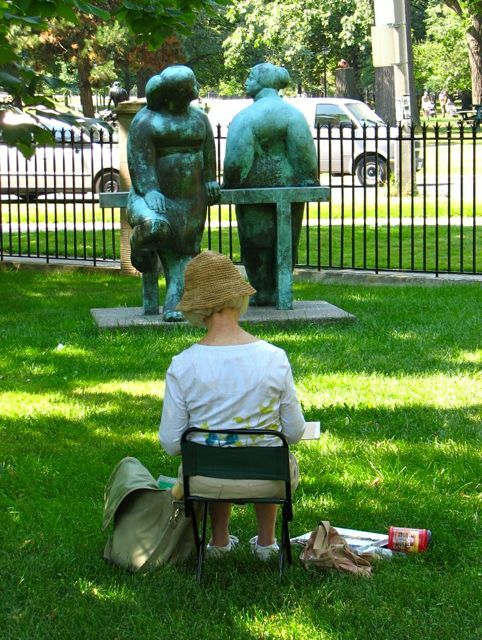 Click here to see demos and photos from a past En Plein Air Toronto Week. 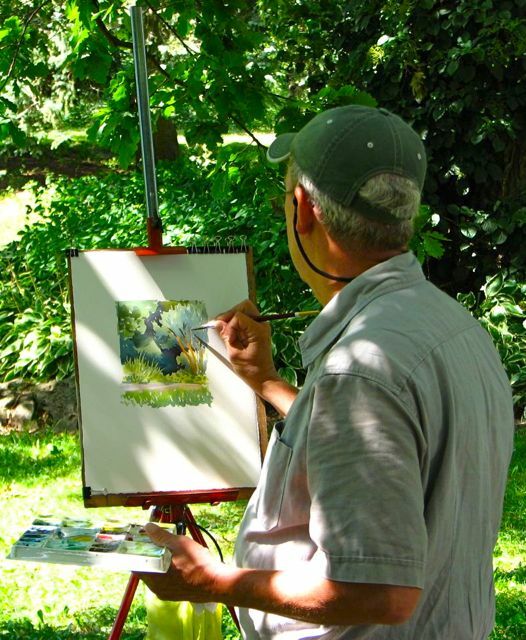 Our workshop will focus on watercolour painting, pen and ink sketching and pen drawing with wash. Participants working in other media are very welcome. Demonstrations, individual attention and constructive critiques are essential elements of this creative learning experience. This workshop is for participants with some previous experience in their chosen medium. A graduate of the Ontario College of Art, Barry Coombs has led workshops in Ontario, Quebec and Maritime Canada for over twenty-five years as well as many international workshops in England, Italy, France, Greece, USA and Mexico. He is noted for his positive and constructive attitude and ability to work with students of all levels of skill and experience. Barry exhibits his work locally and internationally and represented Canada at the G20 World Artist Festival in Seoul, South Korea in 2010. Participants will be provided with directions and detailed information (washrooms, cafes) about each site. We will paint ‘rain or shine’ as several of our sites have overhead shelter. All of our sites will be accessible by car or by public transit. It is possible to arrange carpooling if prior notice is given. Contact Barry Coombs at barryfcoombs@gmail.com for help with planning your trip and your stay in Toronto. Contact Barry Coombs at barryfcoombs@gmail.com or use the contact form below to register. Registration will be confirmed when a non-refundable deposit of $100 is received. At that time a material list will be provided. The balance of $350 is due no later than Friday, June 7, 2019. After June 14, 2019 the workshop fee is non-refundable. If the workshop is cancelled by Barry Coombs, for any reason, a full refund will be made.